'The time is right to shift the focus to COPD as HIV/AIDS and TB are under control. 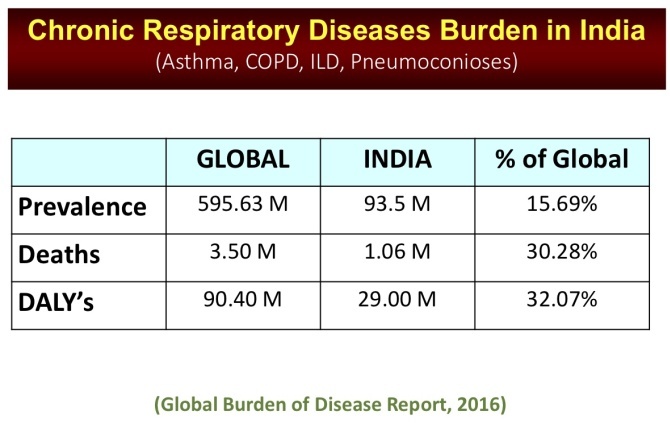 India has 18% of the world's population, but accounts for 32% global respiratory diseases. 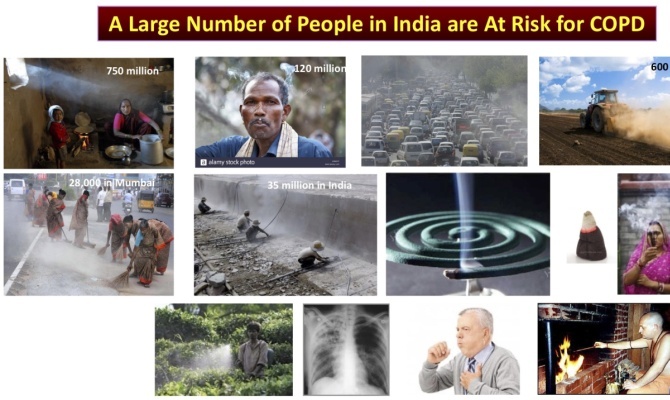 India tops the world in death due to lung diseases. 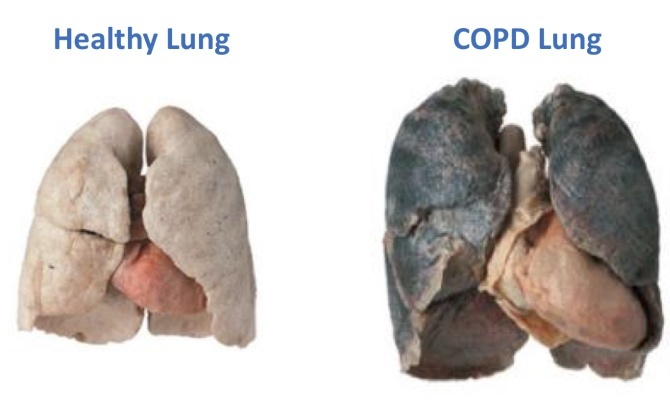 About 34% of all Chronic Obstructive Pulmonary Diseases (COPD) are due to air pollution. Only 21% of COPD cases are due to smoking, Dr Sundeep Salvi revealed in Chennai recently. Dr Salvi, one of India's leading pulmonologists, is the director of the Chest Research Foundation, Pune. The CRF is a state-of-the art research institute dedicated to research and education in the field of respiratory diseases, with focus on obstructive airways diseases. Dr Salvi is also on the board of directors of the Global Initiative for Chronic Obstructive Lung Disease and is the only person from Asia to be in the GOLD committee. 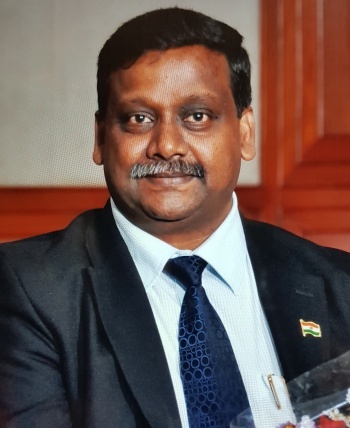 "Many people are not even aware that a mosquito coil produces as much amount of pollution that is equal to smoking 100 cigarettes in one night!," Dr Salvi tells Rediff.com's Shobha Warrier. 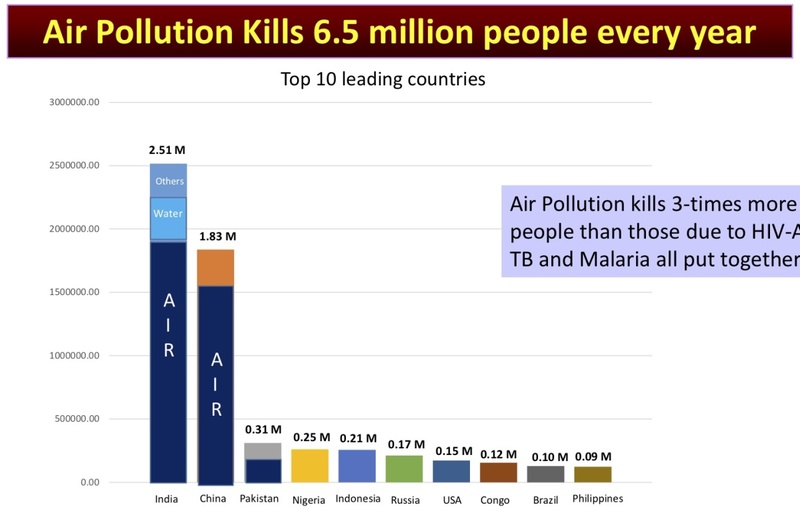 In your presentation, you said that air pollution kills 6.5 million people every year which is more than those due to HIV/AIDS, TB and malaria put together. The unfortunate aspect is India tops the world in this regard. 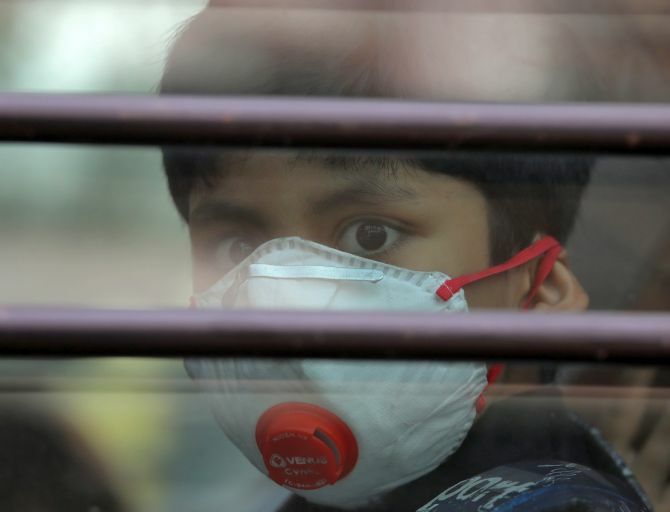 When our cities are becoming more and more polluted, what kind of precautions should people take? Unfortunately, India faces the problem of dual air pollution. One comes from outside air, the sources of which are motor vehicles emission, building construction, etc. The second one is that comes from inside your own house. So, air pollution killing 6.5 million people a year is because of both these kinds of pollution, household as well as ambient pollution. A very simple remedy to tackle household pollution is to create awareness. Many people are not even aware that a mosquito coil produces as much amount of pollution that is equal to smoking 100 cigarettes in one night! These are simple issues that could be communicated in an effective manner to people. The question is whether there is a cheaper and effective way of getting rid of mosquitoes. What about popularising the good old mosquito net? Absolutely. It is the safest from the perspective of the lung. Even the liquid vaporisers and mats are not healthy for the lung. Dhoom sticks also should be avoided. Now, regarding ambient air pollution, the government needs to take active measures. If motor vehicles are the major source of air pollution in a particular city or town, then public transport needs to enhanced. That way, we can reduce the number of vehicles on the road. Interestingly, one of the major sources of ambience pollution in cities is dust on the road. Like we see in many cities in the developed countries, will washing the streets clean with water in the morning help? That's an alternative, but then the problem is water scarcity which most Indian cities face. Definitely, if water is available in plentiful, that is a good way to keep dust away. Regular sweeping of the roads also helps. Building good footpaths and leaving no part unpaved on the roads also help. Of course, planting more trees along the sides of the roads is very important to reduce ambience pollution. Plants and trees are very good at mopping up air pollutants. Certain trees that are particularly good at mopping up air pollutants are gulmohar, neem, tamarind, big rubber plat, etc. Is it because of negligence on the part of city planners and authorities that nothing much is being done to reduce air pollution, or are they unaware? I think it is largely because of lack of awareness. If they are really aware of the large number of deaths caused by pulmonary diseases because of ambient pollution, there is no reason to suspect why they should not act upon it. Unfortunately, what happens is many of these authorities and policy makers are born and brought up in the same environment and they say, we have been living in this environment for so long and what is this noise about air pollution? The issue is they do not know how it is to breathe clean air because they have always been living with unhealthy air. So, there is no reference point for them and understand what clean air is. I think negligence is a lesser evil, but it is necessary to create awareness. How do you compare air pollution and household pollution? In India, it is 50:50 which is very different from the rest of the world. In the developed world, the ratio is 95:5 which is 95% of the pollution comes from outside and only 5% inside. The major source of household pollution is India is due to the use of biomass in cooking and 65% of Indian homes still use it. Since biomass cooking is the major source of household pollution, will the Ujwala scheme have some impact in reducing pollution inside homes? The Ujwala scheme has the potential to have a big impact. The idea is good and theoretically, it will have a big impact on society, but the only issue is, it should be implemented effectively. One of the major aspects is the behavioural issue. The family may have an LPG cylinder, but they will use it only occasionally because many husbands complain that food cooked on gas does not taste good, and he would insist on his wife cooking food on a chula. Many women prefer to make bakris on the chula. Here, what is needed is creating awareness about the dangers involved in using biomass. Studies have found that from 2002 in China after they discouraged people from using biomass for cooking, there is a huge difference in household pollution. Yes, the result was tremendous. The way China works and a democracy like India works is different. When an order is passed in China, it is implemented whether you like it or not. So, a policy like this will certainly work in China. On the other hand, if India replaces the chula with LPG cylinders, there will be a huge hue and cry. So, implementation is a challenge in India. 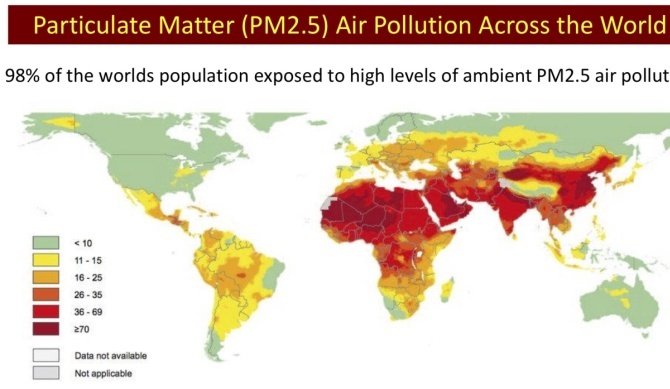 In Indian cities, there is more air pollution outside while in the rural areas, household pollution is more. How will you compare these two in the way it affects the health of people? Particle pollution (PM) is a mixture of solids and liquid droplets floating in the air. The measure of air pollution is PM 2.5. There are two types of air pollutants, one is gaseous and the other is particulate matter. Although both are bad, particulate matter air pollution is worse. So, if we have to choose what causes pollution as an index of air quality, people choose PM 2.5 which is particulate matter less than 2.5 microne. If you use that as the single index of pollution, and compare the proportion in ambient air and household air, it will generally be around 50:50 which means 50% of PM 2.5 comes from outside and the other 50% comes from inside the house. It also means, if you create awareness, 50% of potential pollution inside the house can be reduced. That is because it is in the hand of the individual as the government cannot ask an individual not to use the chula or a mosquito coil. Only through awareness, we can bring about a change. 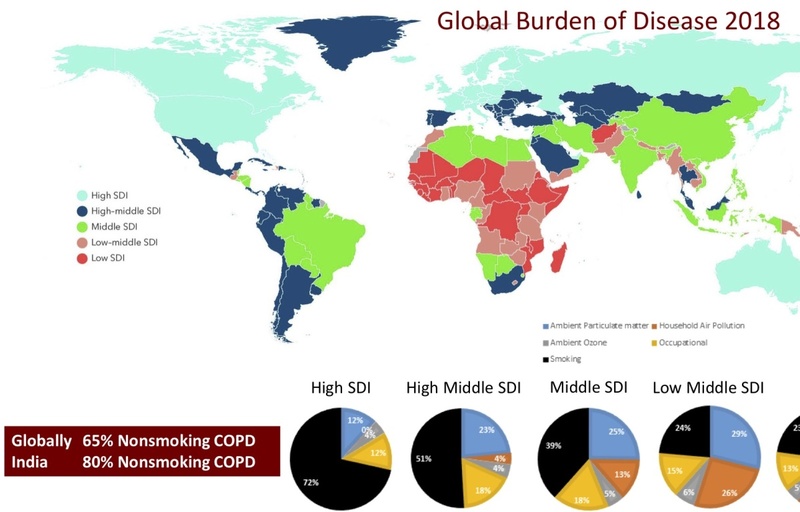 A shocking revelation of your presentation is that 65% of chronic obstructive pulmonary diseases is due to non-smoking globally while 80% of COPD in India is due to non-smoking. Until 2009, it was believed that tobacco smoking was the only and the major risk factor associated with COPD. It is only 10 years ago that we started realising that it is not necessarily the case. Now, we seem pretty confident that we were making a mistake by attributing COPD to only tobacco smoke. 50% of the world's population use biomass for cooking and this is something the world has not been aware of. With the new revelations, the equation has changed. That is, 50% of the world's population uses biomass for cooking and household air pollution is the major factor for COPD. Now, we have found that non-smoking is the major risk factor for COPD than smoking. 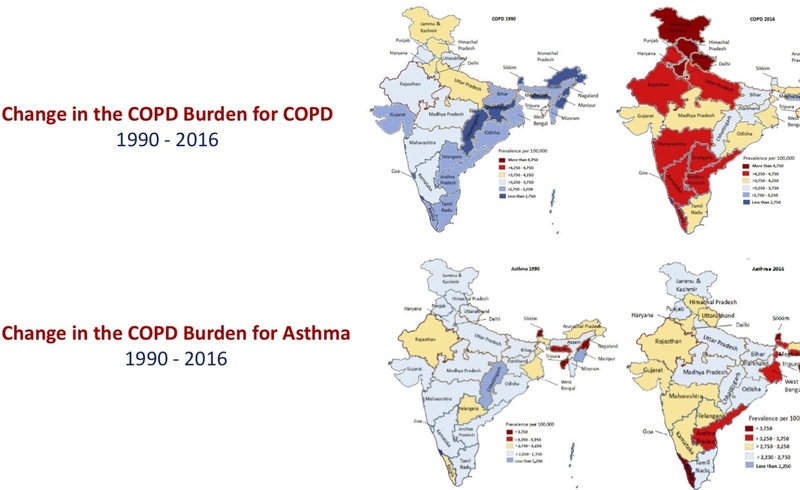 If you take 100 COPD cases in India, 80 of them have it because of non-smoking and only 20 of them got it because of smoking. This is new knowledge. Out of 80 COPD cases, 35 are because of household pollution and 35 are because of air pollution outside. 10 are because of occupational exposure. 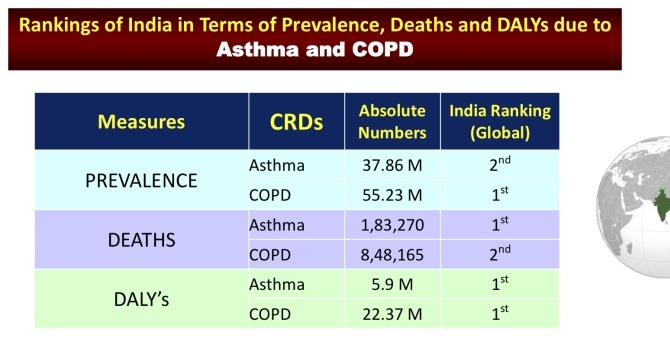 It is shocking to learn that COPD is the second leading cause for deaths in India. This has been known for quite some time that chronic obstructive pulmonary disease is one of the leading causes of deaths in India, but it has always been neglected. You said the country loses Rs 35,000 crore every year because of COPD. Yes, this one disease is the reason for causing an economic loss of Rs 35,000 crores. We cannot afford to lose such a huge amount due to one disease. It is high time we did something to stop this economic drain. The government needs to seriously consider setting up a national COPD prevention and control programme. How much will it cost? My guess is around Rs 5,000 crores. By spending Rs 5,000 crores, if you can reduce Rs 35,000 crores, it is a good cost-effective measure. The cost for the government to invest is much less than what they are losing because of the suffering and deaths due to the disease. HIV/AIDS could be controlled because of the measures taken by the government. Do you feel COPD got neglected because it is a long suffering ailment? In the case of HIV/AIDS, it is a communicable disease and communicable diseases are a priority and it should be so. COPD is a non-communicable disease and that's why it remained low in priority. Having done a good job of HIV/AIDS, the priority should be changed to COPD. The time is right to shift focus to COPD as HIV/AIDS and TB are under control. Now, we see that this badly neglected disease has become the second largest cause for deaths in India. We have neglected it for so long. It is time for us to wake up and give due importance to this disease. We have to create awareness about COPD which is like asthma, but a lot worse than asthma, and irreversible unlike asthma. It is said Indians have poor lung function, 35% lower than Caucasians. Is it genetic or due to pollution? It is not genetic. Lung function values are compared to the same gender, age and height. So, you cannot say that Americans are tall and Indians are short and that's why their lungs function better. It is found that an Indian has 35% less lung function capacity that of an American of the same height, age and gender. In 1977, it was found that our lung functions are 20% lower than that of Caucasians and after 41 years, in 2018, it has been found that our lung functions have reduced by another 15%. Such a rapid decline in such a short span of time is not because of genetic factors or ethnic reasons; it is only because of environmental causes. 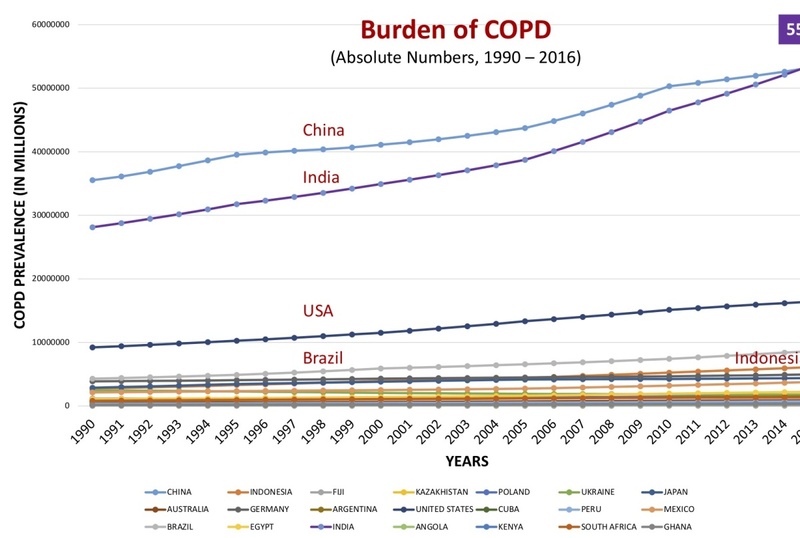 Is that one of the reasons why there are more COPD cases now? Yes, poor lung function makes people more vulnerable and more susceptible to chronic lung diseases and asthma. I have to tell you one more thing. If you have poor lung function, the risk of you getting a heart attack or high blood pressure increases tremendously. So, poor lung function is also a risk factor for heart disease, hypertension, developing strokes and diabetes. Poor lung function is a marker which leads to all diseases involving other organs. A significant proportion of the number of heart attacks and diabetes cases in India today are due to poor lung function and air pollution.